R | Forging connections between neuroscience, cognition and the wider world. 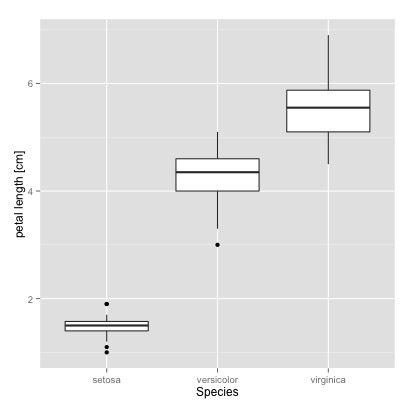 The ggplot2 packages for R has some fantastic features for very powerful, flexible, and aesthetic data visualisation (If you are not familiar with the packages, you can have a look at some of the capabilities here: [http://docs.ggplot2.org/current/]). 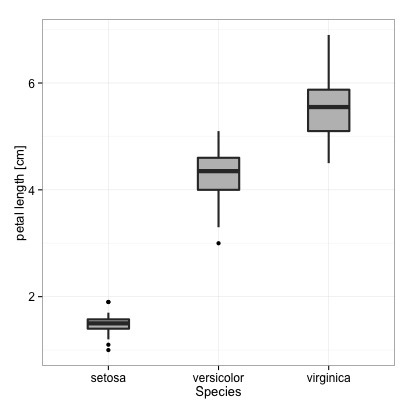 It is also relatively easy to export figures in a way that matches any journals figure specifications. 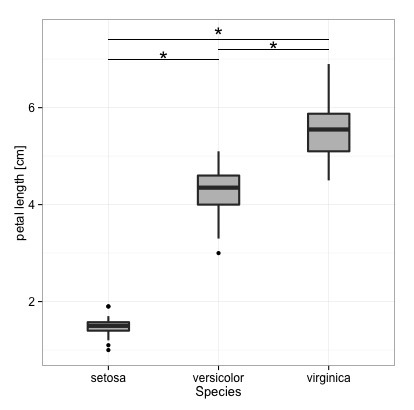 I will use the sample dataset ‘iris’ that is included with R for the following demonstration. 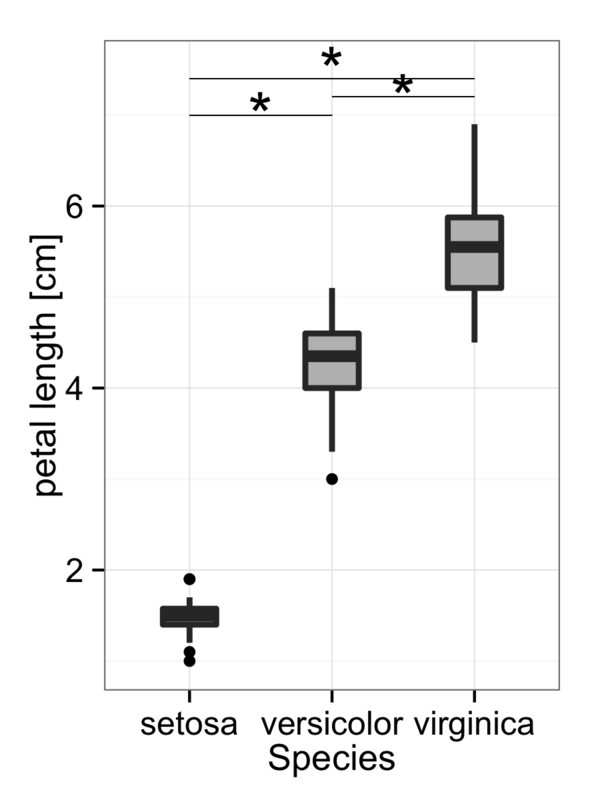 This dataset contains data on petal length of three iris species among other measures.